Happy and Safe Dogs and Cats™ (Perros y Gatos Felices y Seguros™) is LIVE! 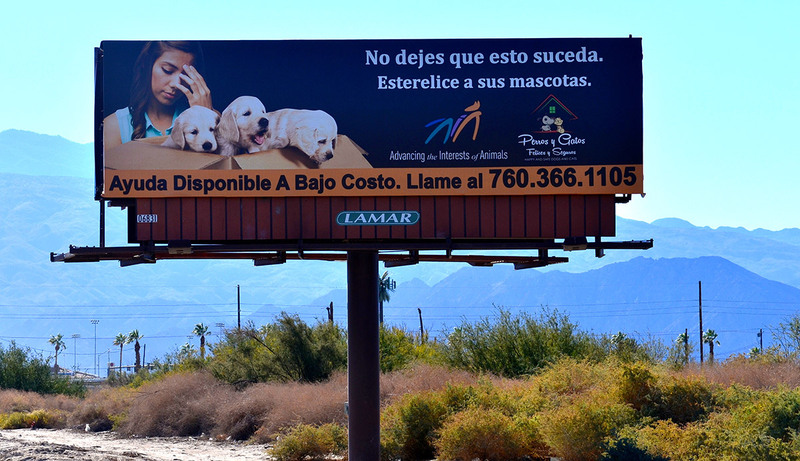 Advancing the Interests of Animals (AIA) has officially launched an educational campaign aimed at predominantly Spanish speaking communities in the Coachella Valley. 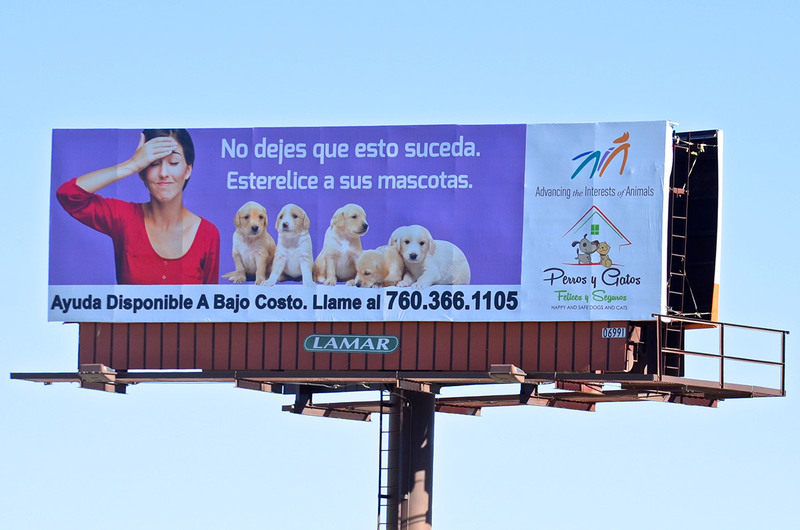 Happy and Safe Dogs and Cats (Perros y Gatos Felices y Seguros) provides much-needed information about responsible guardianship of companion animals through multiple media formats, all in Spanish. Utilizing 60 sec. radio advertisements, feature articles in the valley’s Spanish language newspaper, La Prensa Hispana, colorful informational flyers and strategically placed billboards, the messages emphasize the importance of fixing our pets, making sure they are properly vaccinated and licensed, that they have safe and secure living environments, and much more. AIA will soon roll out the campaign in select Los Angeles neighborhoods.